Frequency hardened high precision cutting blades. Chrome vanadium steel jaws. Specially shaped flat head & joint area allows you to cut through reinforcement steel that is lying flat and provides increased access in confined spaces. 12 blade adjustment for precise positioning - Each adjustment is a 30º angle until closing the blades. 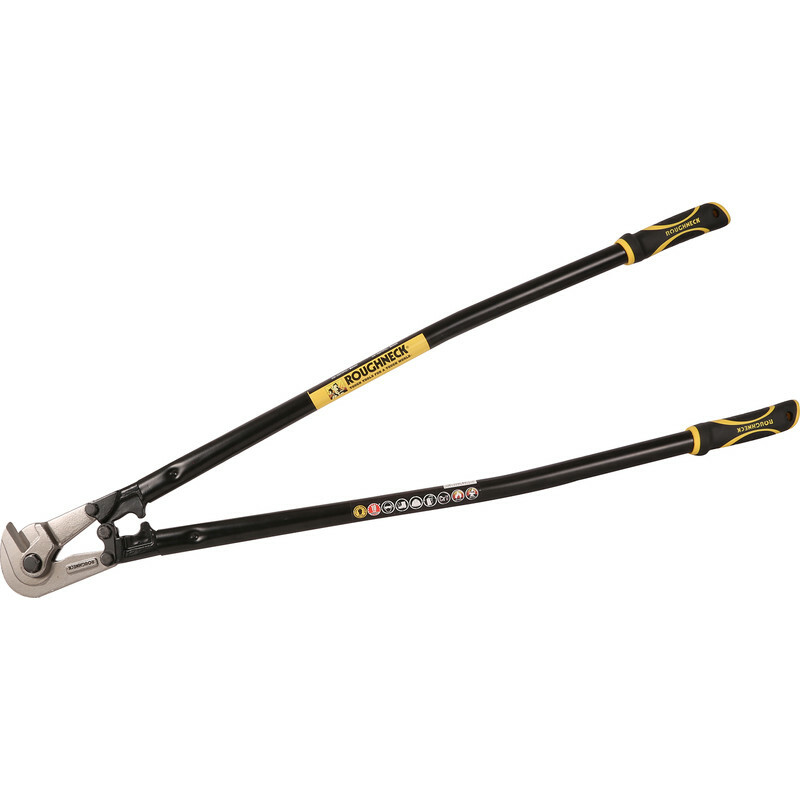 800mm long handles for increased leverage and power. Large double injected soft-grips. Cutting Capacity: 28-30HRC: 9mm, 38-40HRC: 8mm.